After some delays on the process Ac Milan have finally confirm the signing of talented Greek defender, Sokratis Papasthoupoulos, who was officially presented to the fans today right on the team’s first training session along with two other major singings, Marco Amelia and Mario Yepes . The former Genoa player was brought in with a rather unique methods as according to the official reports, the 22-years-old versatile defender arrived at San Siro with the expense of three Milan’s primavera players, Rodney Strasser, Gianmarco Zigoni and Nnamdi Oduamadi, who will be co-owned by the Grifone. 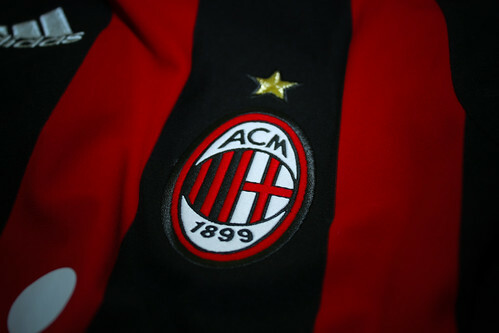 Despite previous random rumors about the process of the deal, it seems that Milan are making a good deal as although they have to sell 50% of their promising players contract, the Italian giant doesn’t look to cash out any money for the deal. Moreover, the news also claimed that there’s a chance that at least one of the youngsters could still be playing for the Rossoneri next season, the one reportedly will be kept by the Italian giant is their young midfielder Strasser. Surely it is a deal that the Rossoneri fans should be happy about as without having to pay a lot, the team managed to acquire the service of a young and talented defender that could represent the rejuvenation process, Milan have been planning. Papa’s arrival certainly will help in filling the gap that the Diavolo Rosso’s been having in defense as the Greek international defender should at least be able to add the depth in the back line. Although Milan would probably still need at least two more important signings in other positions to be an ideal title contender, the fans could really hope that Papa’s signing is indeed the step towards a rejuvenate team in the future. Beside the former Genoa player, the Rossoneri have also completed the signing of three exciting young players from Inter Milan, they are Marco Ezio Fossati, Christian Daminuta and Attila Filkor. Out of the three youngsters, two of them might have a chance to feature in the first team especially if they manage to impress Massimiliano Allegri on the club’s pre-season. Just as I previously stated since Marco Amelia’s arrival, many people maybe skeptical about Milan’s plan as their team doesn’t seem to change a lot for a long time now. However with lots of players running out of contract next year and the amount of talented youngsters bought, I smell there’s something being work out by the club’s management and this season might finally be the start many fans have been waiting.